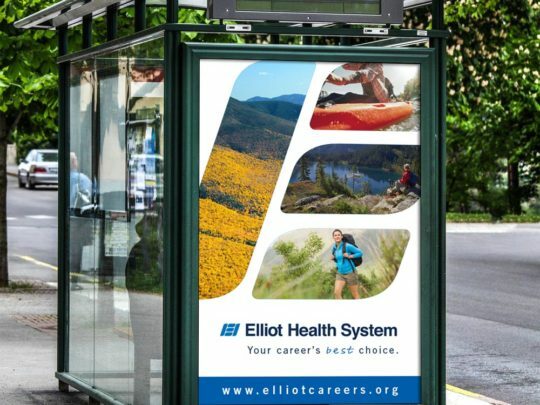 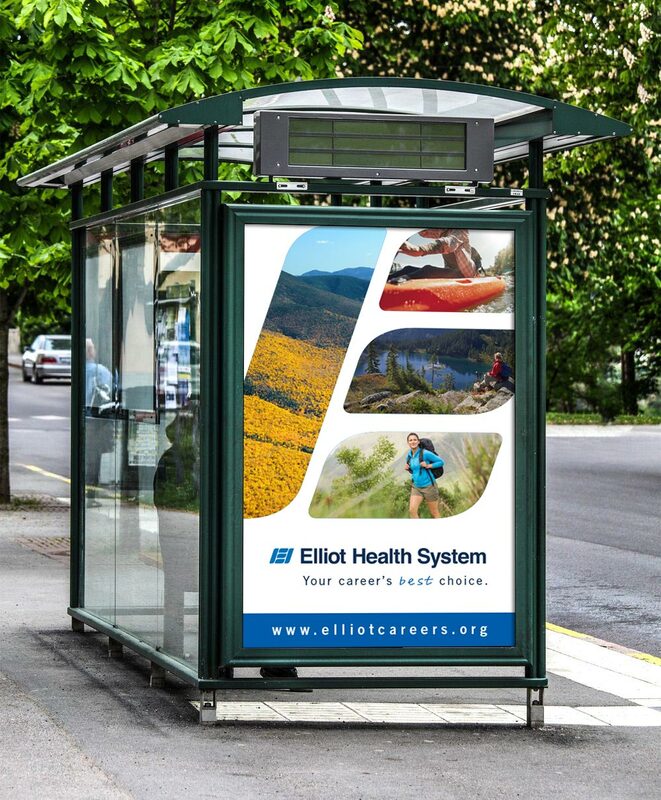 These are a collection of designs done for Elliot Health System to be shown outdoors to raise brand awareness and send people back to their website to learn more about their available opportunities. 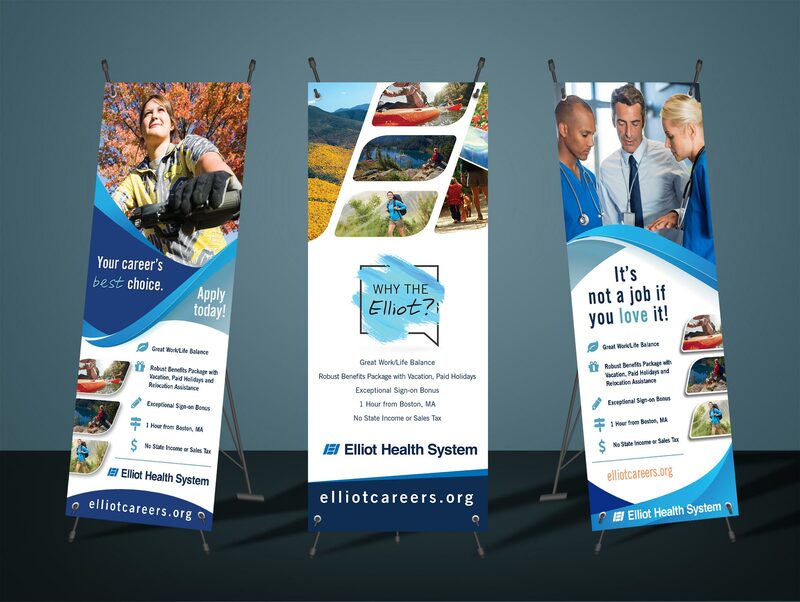 We created bus stop posters and billboards, as well as banners to be displayed at hiring events. 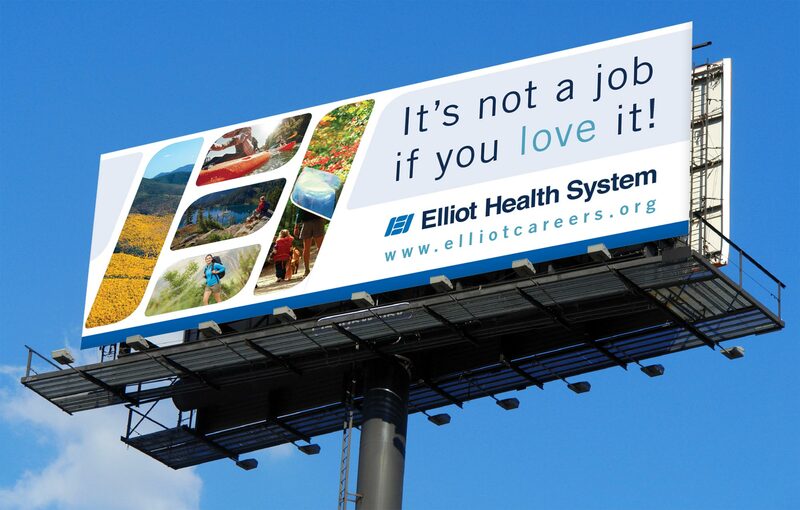 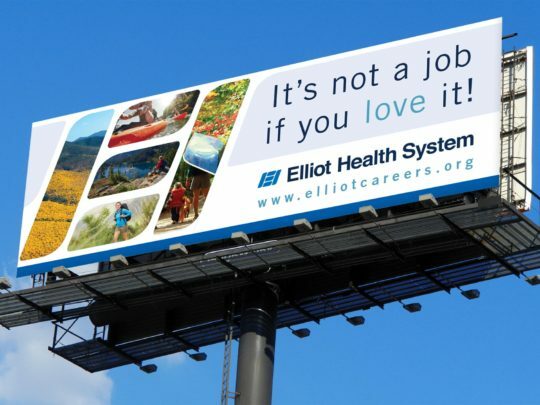 We wanted to answer the question “Why the Elliot?” to potential candidates, and also show that the Elliot is the best choice for their career as well as their personal lives, so selling the area around the hospital is just as important as selling the jobs themselves.